Product code: R296 Categories: Sold Items, Sold Rings. 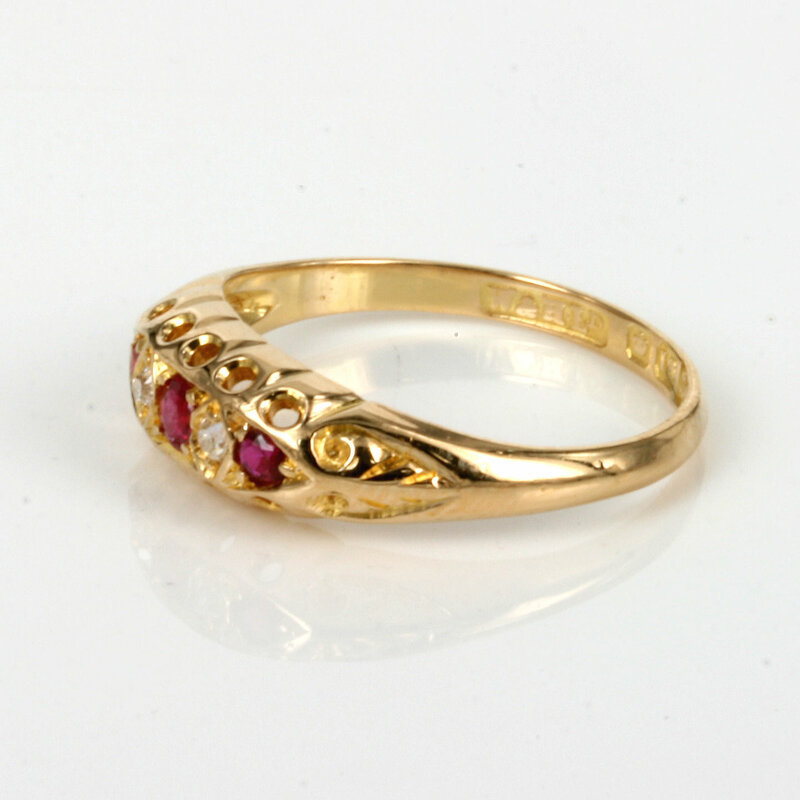 here is something so charming about this antique ruby and diamond ring and the design and style of it will so easily allow it to be worn by any woman young or old and day or night and always look so elegant. 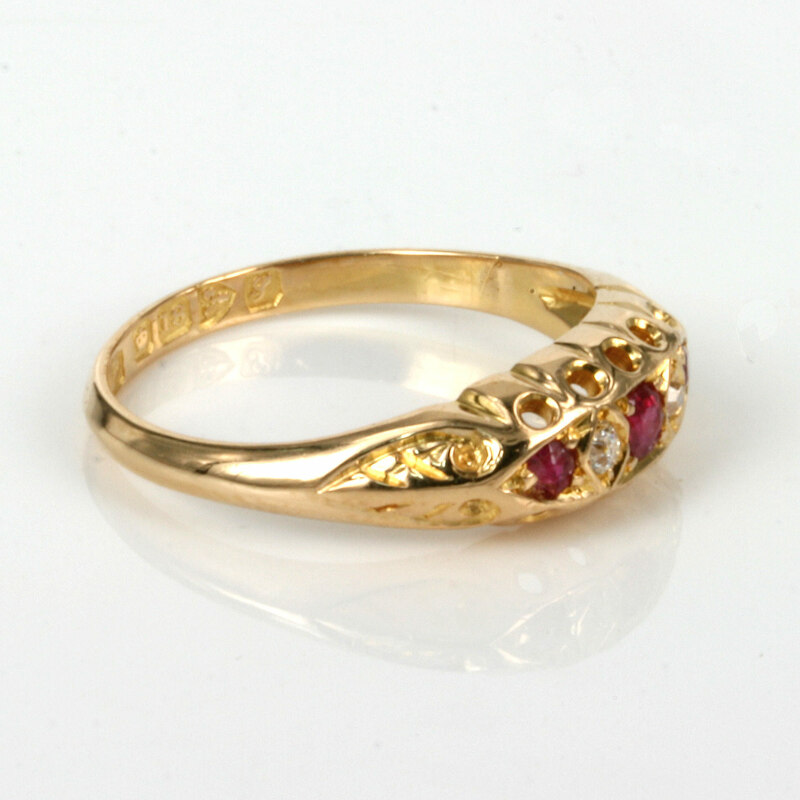 Made in Chester in 1907, this ring was made in 18ct yellow gold and set with three natural rubies and two diamonds amongst hand carved sides and a gorgeous setting for the rubies and diamonds. 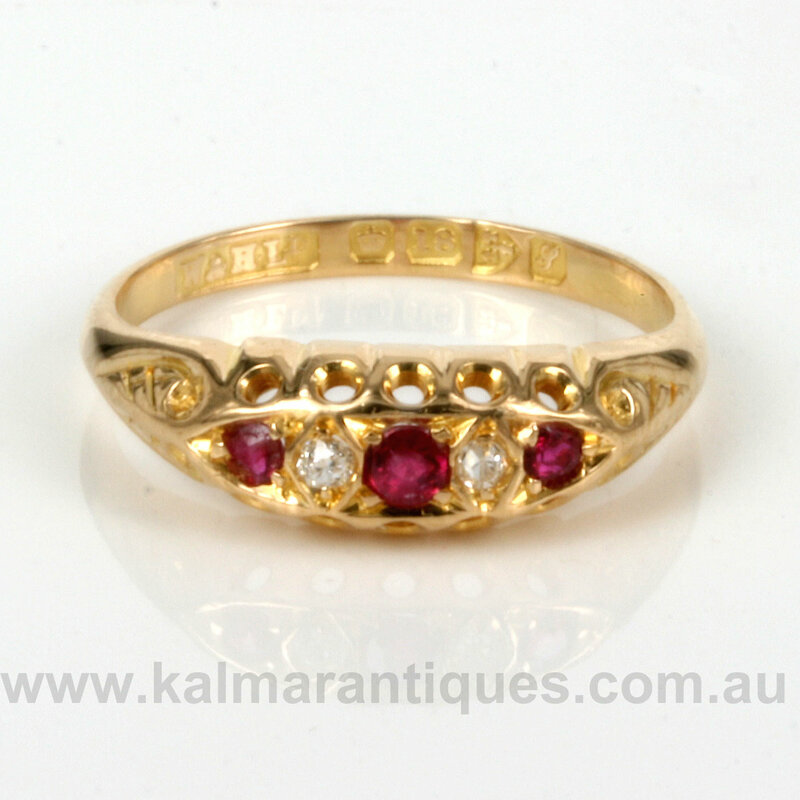 At the centre this distance measures 5.8mm wide and from one end ruby across to the other this distance measures 11.8mm wide and having the rubies and diamonds set into the gold allows it to be such a practical and easy to wear ring. With so much charm and beauty, this is a wonderful example of a genuine antique ruby and diamond ring that will always look so attractive on any finger.